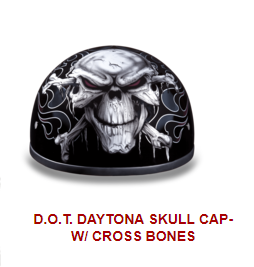 Our D.O.T. 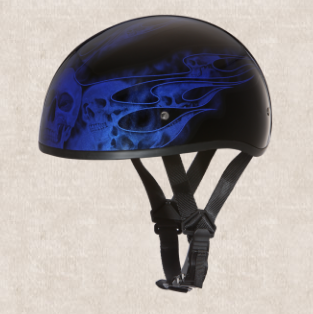 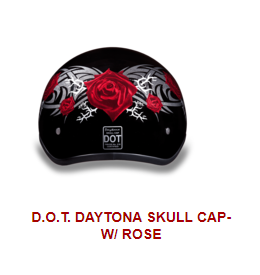 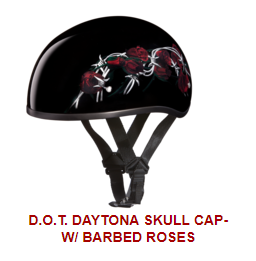 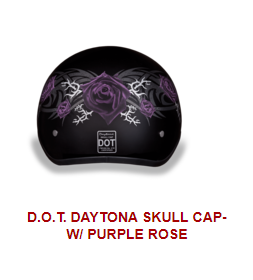 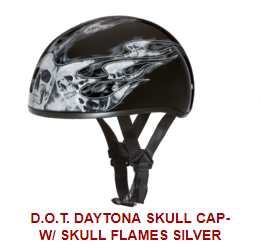 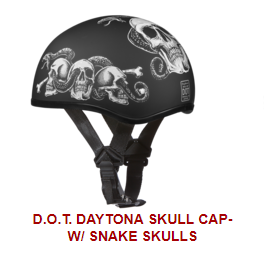 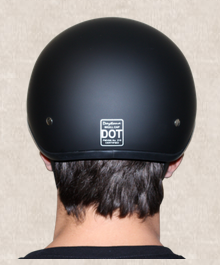 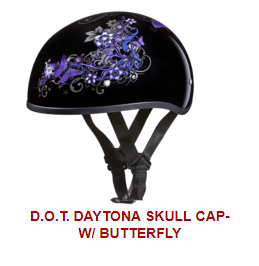 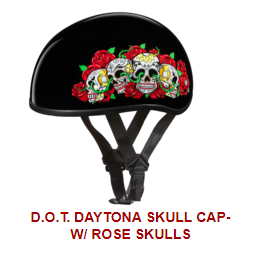 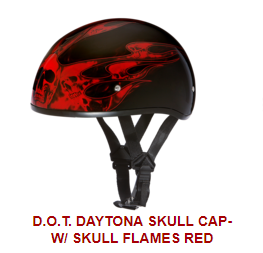 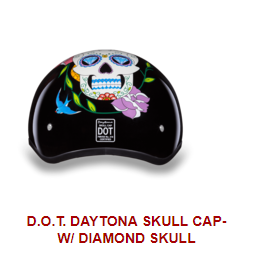 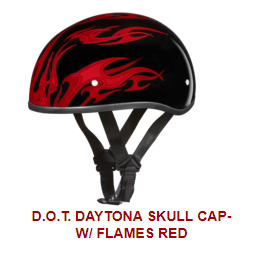 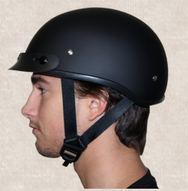 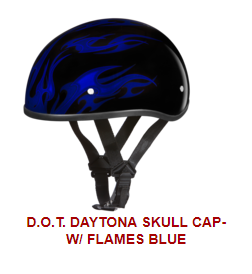 Daytona Slim Line Skull Cap 1/2 Shell Helmet In The many styles of Graphics, Meets And Exceeds D.O.T. 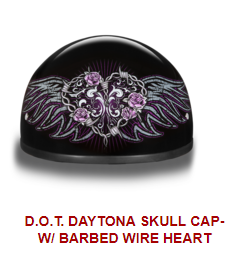 FMVSS 218 Standards, And Is The Smallest D.O.T. 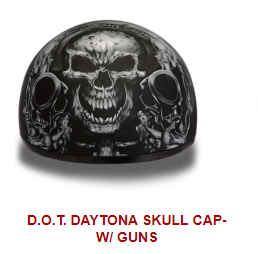 1/2 Shell Helmet Ever Made!! 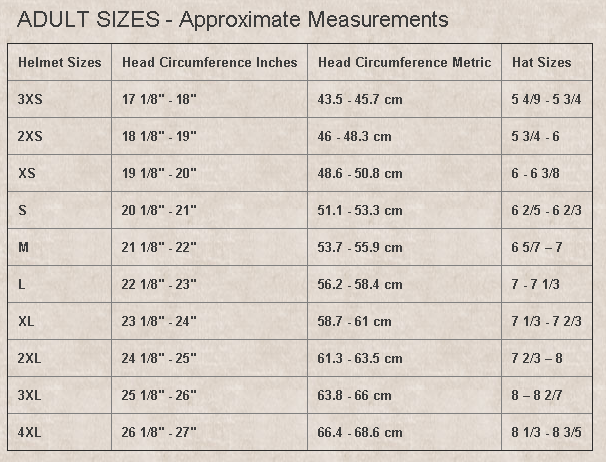 With 3 Different Shell Sizes, You're Sure To Get That Proportionate Fit!! 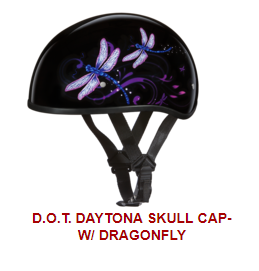 Each Graphic Item Is Custom Designed And May Vary In Color Or Composition. 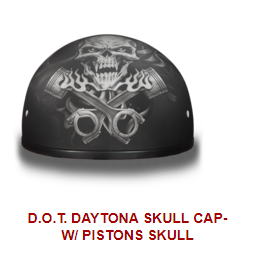 Available Without Visor Only.